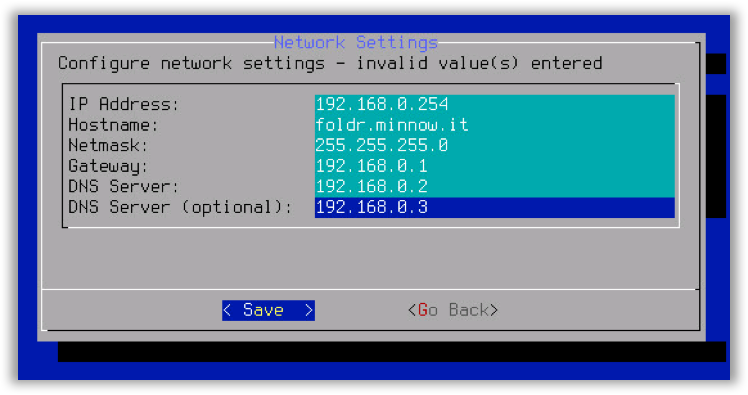 The Foldr appliance will run a configuration wizard when it first boots, this allows you to change the administrative password, configure network settings, apply static routes and set time specific settings. Select ‘Let’s Go’ and follow the onscreen prompts. Select the relevant keyboard layout for your region. 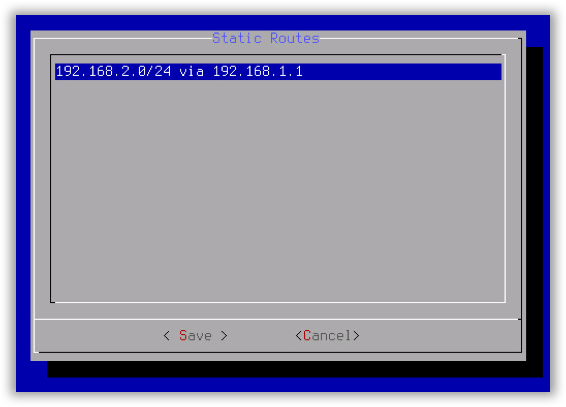 Example settings are shown below, note the hostname is configured fully qualified and set to the internal domain. Click Save to confirm and apply the configuration. If you require an appliance using more than one virtual network interface, please contact support (support@foldr.io). Set the time to synchronise with the host clock or use NTP. If NTP is selected, multiple entries can be configured separated by a space. Typically, you would point this at your ISP-provided NTP server or domain controller IP address. Once the system has restarted you will be presented with the main system login screen. The system’s IP address will be shown at the top of the console screen. You can now browse to the URL shown above to configure the system.